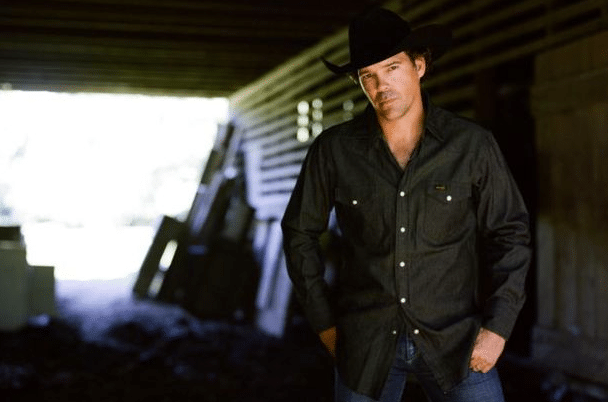 I sat down with singer-songwriter Clay Walker earlier this week to discuss his new single “Right Now“. While speaking with Clay, who happens to be one of my favorite country artists of all time, we broached the topic of the evolution of the genre over the years and Clay’s feelings regarding changes he’s had to consider making due to the shift. Providing a uniquely profound perspective on this subject matter, Clay opened my mind to the viewpoint of an artist who has over twenty years of experience and the impact of the obvious industry differences on a lengthy career. Clay Walker released his first album in 1993, followed the debut with eight more studio albums, pushed thirty-one singles to radio, and has garnered six Number 1 hits. Today, Clay’s brand new single, “Right Now”, which is serving as the lead single off his forthcoming tenth studio album, is being shared with radio and is receiving weekend spins on Sirius XM The Highway’s On the Horizon program. It has been over three years since Clay’s last release, and in those three years, the industry has taken quite a turn. 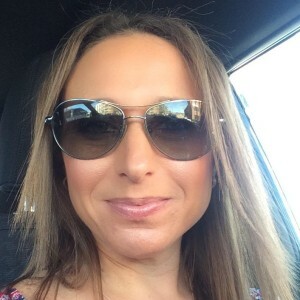 Considering the differences we have all taken notice of over this time, the question that remains in the forefront of minds of those who had success in previous decades is how to adapt to the new while maintaining the integrity of the old. Clay, adopting an interesting metaphorical mind frame, compared the shift in the industry to evolution and his belief in the phenomenon. I believe in micro evolution, which means that things adapt, but I don’t believe in macro evolution, such as things are one thing and then they become something else. Like, were we an ape and then become a human? I don’t believe that. Because there’s no missing link. George Strait has taken his music, and I feel like I’ve been able to do the same thing over the years, and that is micro evolve it. And I think that today what our format has done is a macro evolution and that people are absolutely freaked out by it. I don’t think anybody can truly say “oh, this is the best sound we have ever heard in country music.” I really don’t think that they can identify if you gave someone three seconds, if you were changing stations on radio, and you went from country music to pop music, I don’t think someone could tell you which was the country music channel. . . . And to me, that’s really a shame that our industry gave way to “oh, we got to change it overnight.” I don’t think we needed to do that. Even though Clay doesn’t believe the industry had to take such a drastic leap in another direction, he does think it was time to shake things up a bit to avoid complacency. I do think it needed to evolve. It was becoming stagnant, and it sounded very generic, very vanilla, but we went from a certain sound that people were at least familiar with to something people can’t even identify. Being the true professional he is, Clay understands that he cannot undo the modifications that have occurred in the music industry; so, rather than avoiding the situation and ignoring the current state of the genre, he decided to use it as a driving force when creating his new music. It gave me a chance to make a record, an album right now, that I think bridges that gap nicely and I’m glad that for the last three years I’ve been spending time legally getting off of a record label and the last year and a half making a record. I didn’t have to get in on that wave of what I call “The Ugly Duckling”. I think that it was necessary to change our format, but I think we’re still in “The Ugly Duckling” stage, and I think that the best is gonna come out of it. I do tip my hat to the people who were brave enough to say “we gotta change,” but I don’t agree with where we are right now. One of the things about the industry that especially concerns Clay is its failure to see how excited the younger generation is for older music. In fact, he has realized at many of his last shows that the first five rows are filled with young fans who are singing along to every word, respecting the material that preceded today’s modern sound. Hearing such a strong testimonial from somebody with success throughout the 1990s and 2000s was an absolute treat because Clay was willing to say what so many of us are thinking, but articulated it in an educational way that enlightened me quite a bit. As somebody who often tunes into Y2K and Prime Country for the exact reasons Clay stated during our conversation, it was beautiful to listen to what somebody who has personally felt the effects of the changes put feelings into words. Thank you, Clay, for sharing this with me and allowing me to relay your thoughts to our readers. Don’t forget to visit the iTunes store to download Clay Walker’s new single “Right Now” and let Sirius XM The Highway know how much you love hearing this artist on its station. Also, follow Clay on Twitter, Facebook, and his website to stay up-to-date on his schedule and upcoming plans. Prepare to be a “fann” of David Fanning!